From 1839 to the late 1970’s, the grounds at Michigan Ave. and Merriman in Westland served thousands of Detroits needy, diseased and mentally ill. 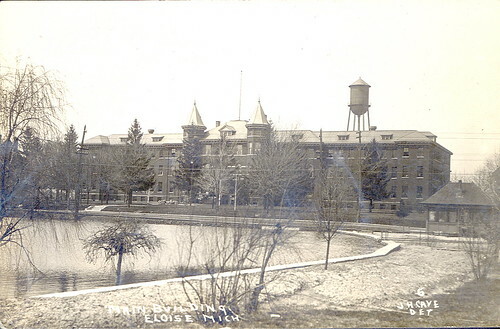 Though through that time the facility grew to 75 buildings and then reduced to 4, the mystery surrounding the Eloise mental facilities have intrigued many. Many a lost soul are said to haunt the grounds surrounding the four remaining buildings on Eloise’s grounds. A cemetery dedicated to some sits virtually unnoticed across Michigan Avenue, a place where many poor unfortunate souls have been buried. Without a name, just a number. Perhaps the most intrigueing thing about Eloise is what we do not know, what we may never know, and how we seek to delve deeper into the secrets Eloise keeps. 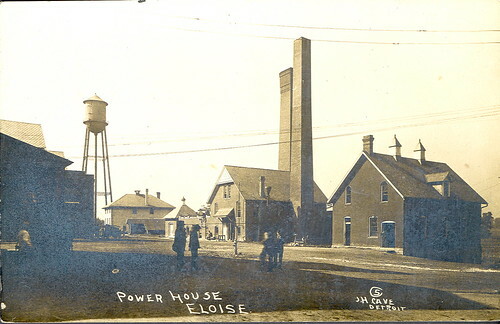 Unfortunately, most if not all of Eloise’s records were destroyed with most of the facility itself. What was done to the people who went there for care and kindness we may never know, but can only begin to imagine some of the horrors they faced… I hope in time to come we can answer some of those questions, if nothing else, bring this place back to life with the information we provide. michigan has been building on the land where this hospital stands. a friend of mine works in a Block Buster video where the cemitary once stood. he always feels very creepy and uneasy in the building at night. he was feeling this before he know the storys of this place. i recently went to see him at work for the first time. it was the first time i have ever went out there before. as i passed by the old building that were still there it gave me chills like you would not believe.